Do you want to learn how to transform spaces? 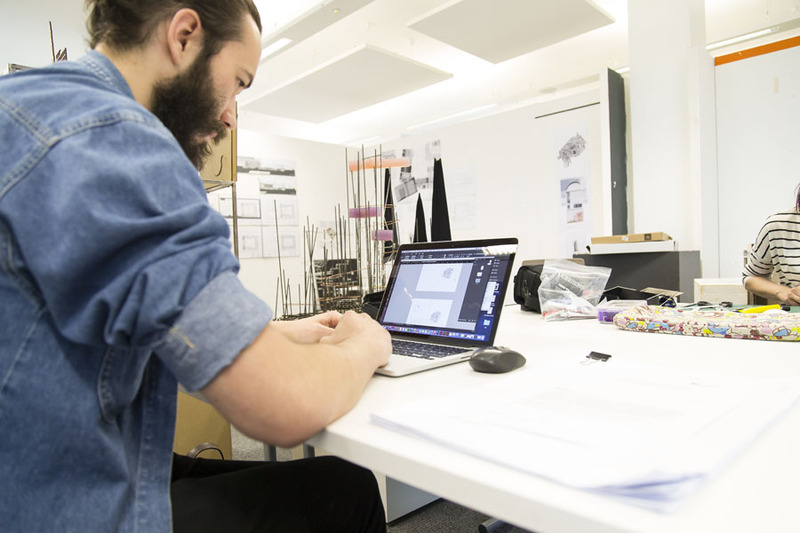 This innovative Interior Architecture and Design degree course covers a broad range of design possibilities, ranging from reordering to transforming space. 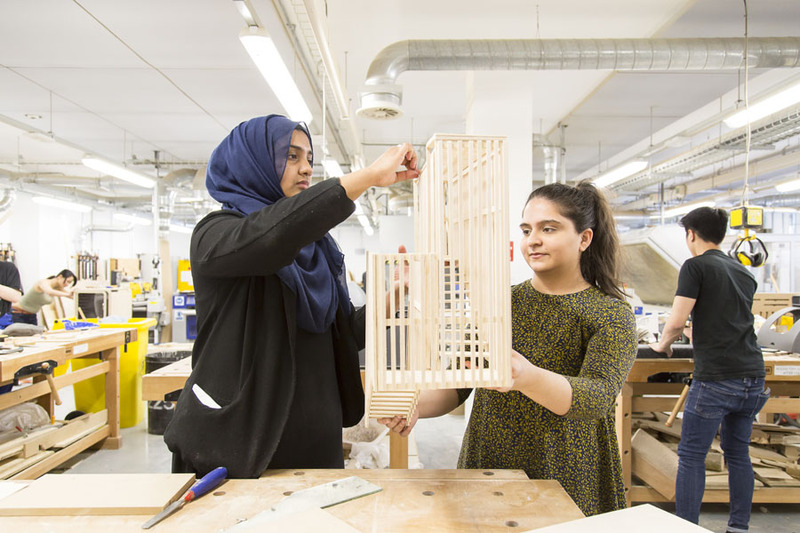 Situated within Birmingham School of Architecture and Design, our course will provide you with the facilities and education that you’ll need to succeed within the industry, as well as offering excellent opportunities for interdisciplinary collaboration and networking with industry partners. 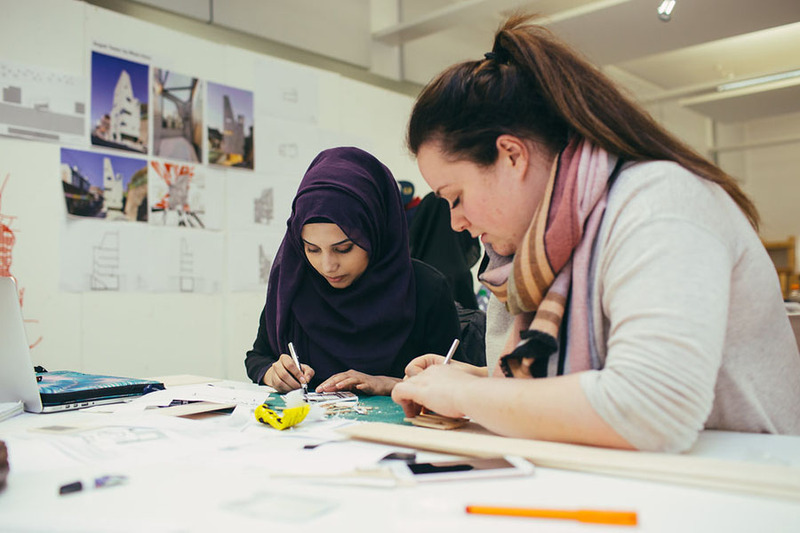 Our BA (Hons) Interior Architecture and Design course provides you with the skills to transform or give new life to spaces, as well as teaching you how to plan and design creative interiors. You will look at hierarchies and relationships between different spaces, describing these relationships in new ways. 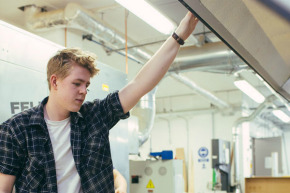 This industry-aligned degree course offers you the opportunity to study and practise the adaption and re-use of space within new and existing building stock, while also addressing aesthetics, human needs, materiality and more, as well as the ephemeral qualities of atmosphere, character, colour, light and shade. 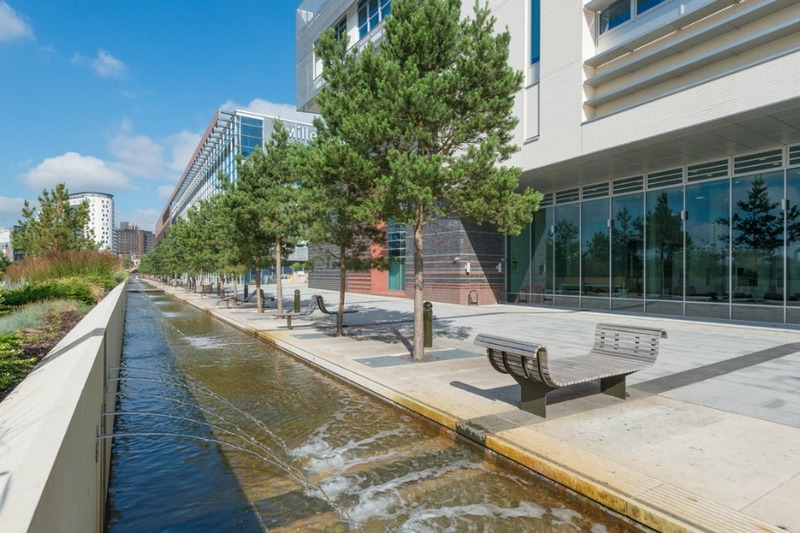 Alongside the regeneration of existing space, you will discover new interior environments, in a broad range of industry sectors, such as hospitality, retail, leisure and residential, using an experimental approach to design to develop the refined techniques required for effective space planning, conceptual design, development, visualisation and the refurbishment of space. I now know how much I can achieve if I put all my heart into it. My knowledge about Interior Design is now stronger and I can do so much more. I have achieved what I was striving for. 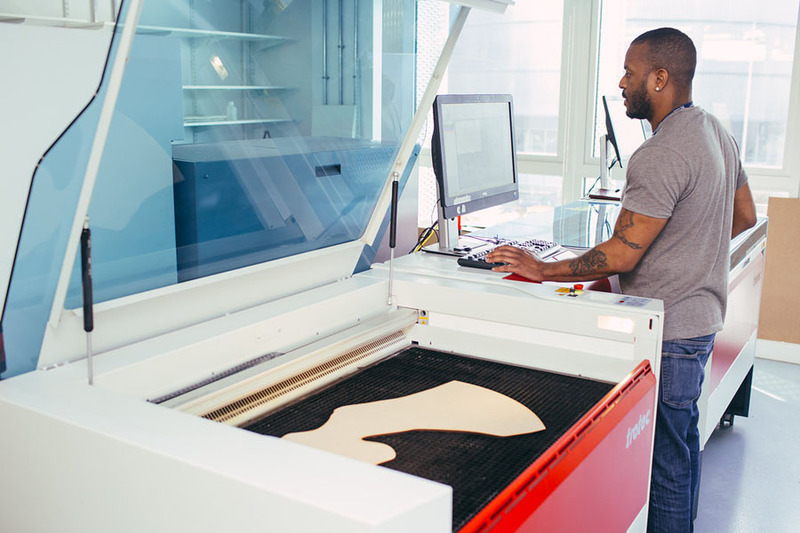 You will work with our industry connections, including London-based design consultants Imagination, whose portfolio includes Ford, Jaguar, BT, and Global Colour Research. You’ll have the chance to enter international design competitions and join our past students who have been successfully shortlisted for the Janine Stone Young Designers of the Year. During each year of study you will be working closely with our team of Industry Professionals that dedicate time each week to working alongside you as students, helping to align all projects and work output with the industry standards, and in context of present day projects. Interior Design is a field that draws on many other fields to inform itself, such as the arts, literature, film, photography, fashion, etc. and so, by its nature, touches many disciplines. One of our objectives is to provide our students with an interdisciplinary approach to the discipline of Interior Architecture and Design through different collaborations with lecturers and students of other schools within the University. 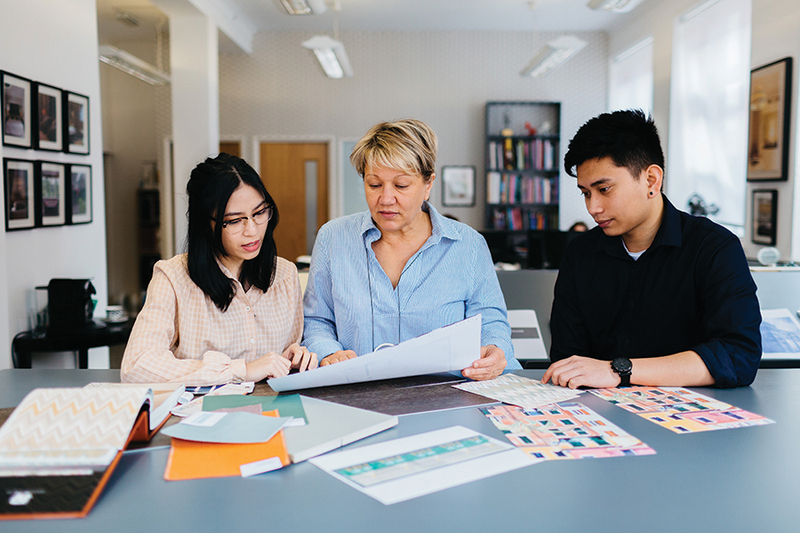 These collaborations will enable you to explore different strategies to face an Interior architecture/design project based on transferable skills from different disciplines. You will benefit from study trips, which could include visiting The Guggenheim Museum in New York, and other design-focused European Cities, and/or The London Design Festival. Concerns is an annual publication by Birmingham School of Architecture and Design. In this issue, you can view final year student work and read more about the activities within the School. 120 UCAS tariff points from A/AS Level with a minimum of 2 A Levels. Pearson BTEC Extended Diploma (QCF) DDM. Must be considered along with a minimum of 2 of the following qualifications: A-levels, BTEC Subsidiary Diplomas/ OCR Cambridge Technical Diplomas. 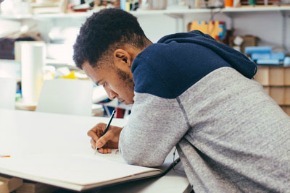 Can also be considered in combination with a BTEC Extended Diploma, Art and Design Foundation Diploma or UAL Extended Diploma to obtain 120 pts. Obtain a minimum of 30 points overall. Students who do not complete the IB Diploma will be considered on the basis of their IB Certificates if they achieve a total of 15 points or above from three Higher Level subjects alongside other acceptable level 3 qualifications to meet 120 UCAS Tariff Points. Irish Leaving Certificate Pass the Irish Leaving Certificate with a minimum of 120 tariff points, achieved in four Higher level subjects. In addition to qualifications, EU and international applicants will also need a good digital portfolio. EU students living and studying in the UK are not required to submit a portfolio. The following direct entry students will be required to submit a digital portfolio at the point of application. International and EU students living and applying from outside the UK will need to provide a portfolio. This can be submitted via your applicant portal. Please see our portfolio guidance page for tips on putting your portfolio together. 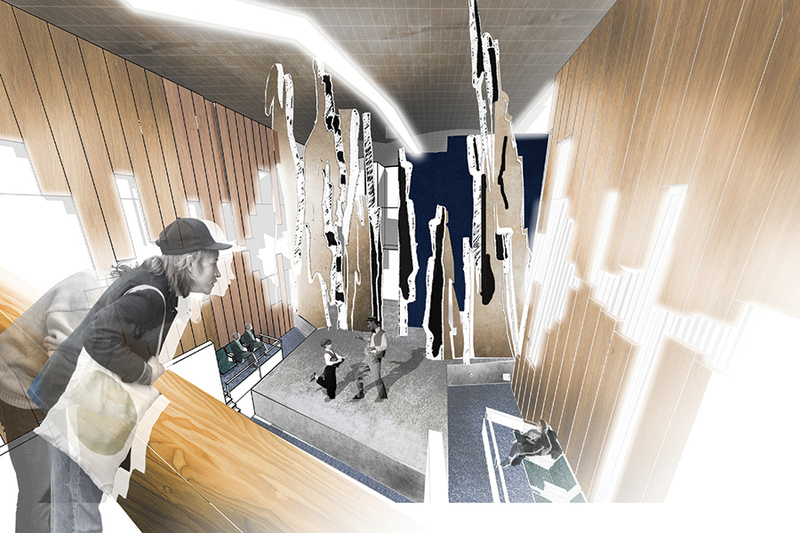 This module enables students to [re]order spatial activities and space planning to design creative and innovative interiors by exploring spatial concepts, their design and representation. These are key components in the repertoire of the interior architect and designer. 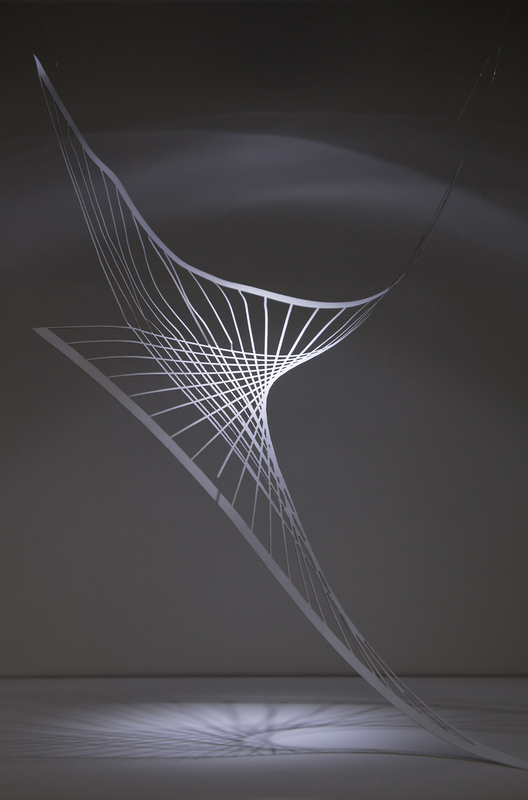 This module focuses on your understanding of the relationships between adjacent spaces/activities, spatial hierarchies, and the more ephemeral qualities of light, shade, and colour. 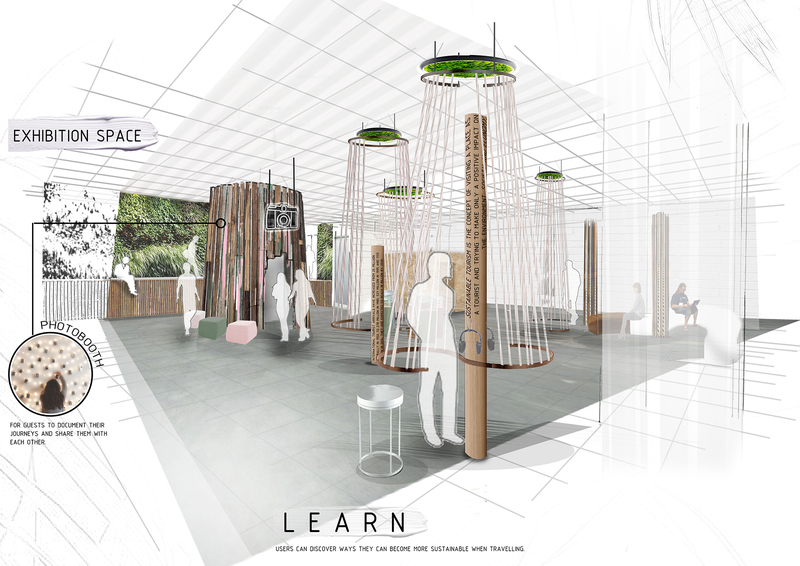 This design and make module seeks to embed an understanding of human physicality and the manipulation of space, which will enable you to design with user centred considerations in mind and appreciate and develop awareness of the interface between products/artefacts/environments and users. This module explores and challenges the physical, psychological and emotional factors that influence user responses to their environments and actions in their everyday life. This module is the first one of a series that will culminate in your final major project. You will be asked to develop an interior design project within a given brief. On this first level of the Transforming Space series, you will be approaching the design of a single-function space. You are expected to undertake research on a programme you are not familiar with and integrate and articulate it within a given site. You will also have to demonstrate the ability to apply relevant knowledge presented through specialised seminars, workshops and lectures to your interior design project. This module engages with the key design ideologies of the 20th Century. The History of Western Architecture has an on-going complex relationship with Modernism. Despite having moved beyond Modernism and post-modernism, at the beginning of the 21st Century, the designed environment; buildings, furniture, interiors and the public realm, still holds traces of and responds to elements of the Modernist ideologies. This Module will enable you to engage with design precedents from the 20th Century through a series of lectures and seminars. You will learn about their history and the social, political and cultural context that gave rise to specific design movements within this period. 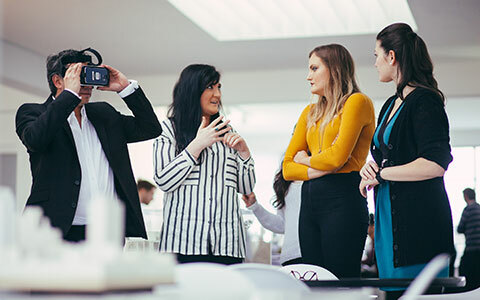 This module builds on the introduction you have had to communication approaches within the discipline of interiors and will provide you with a deeper awareness and understanding of a variety of industry relevant communication methods, while also developing the breadth and depth of your visualisation language. This will include ways in which design concepts are demonstrated through appropriate portfolio techniques, leading toward you becoming a design aware and industry aware student. This module will enable you to approach the challenges that the discipline of Interior Architecture and Design present from an interdisciplinary perspective. Interior Architecture and Design is a young discipline that draws its language mainly from the discipline of Architecture. 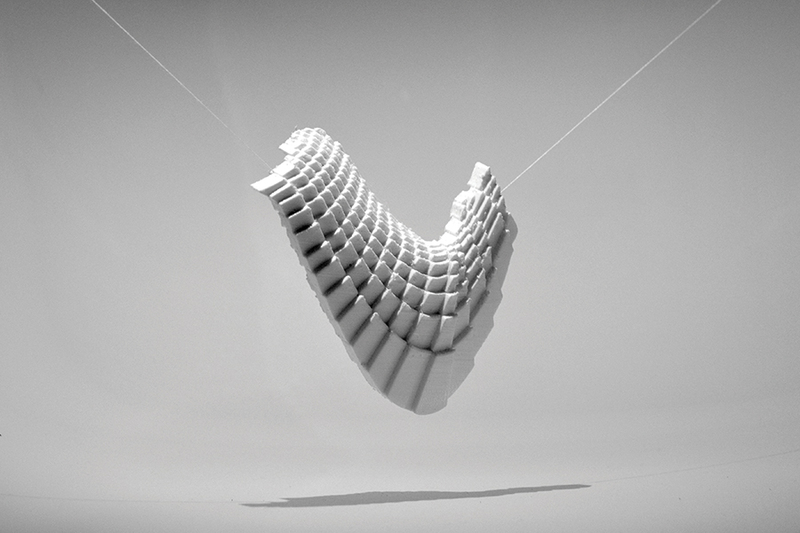 It has yet to define its own distinctive methods. It is also a field that draws on many other fields to inform itself, such as the arts, literature, film, photography, fashion, etc. and so, by its nature, touches many disciplines. This module is the second in a series of Transforming Space modules that will culminate in your final major project. You will be asked to develop an interior design project within a given brief. On this second level of the Transforming Space series, you will be approaching the design of a mix-use space. You are expected to undertake research on a programme you are not familiar with and integrate and articulate the spatial functions set on the brief. At this level you will be asked to make a critical choice amongst several options that can involve several sites, spatial functions... etc., to further explain the brief. The main focus of this module is to enable you to develop more advanced CAD skills (SolidWorks) and use these in relation to the design process. 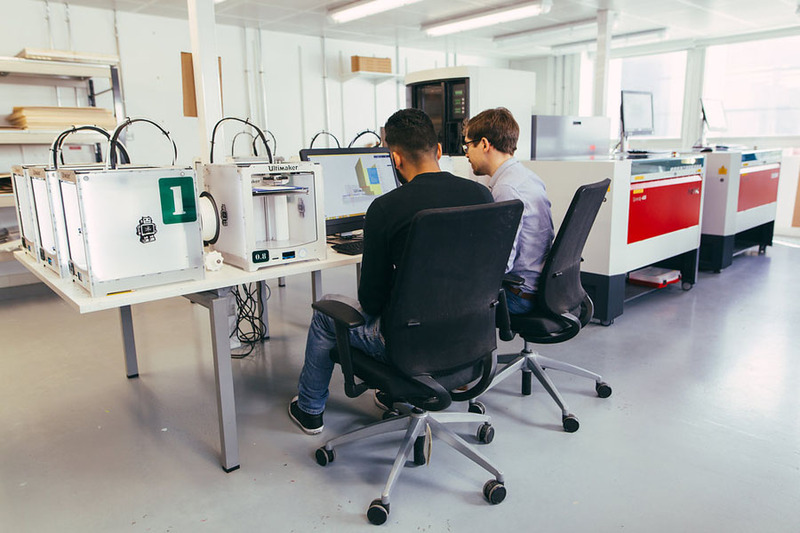 As your skills develop you will be expected to utilise and correctly synthesise the SolidWorks program in line with industry recognised production methods and techniques. 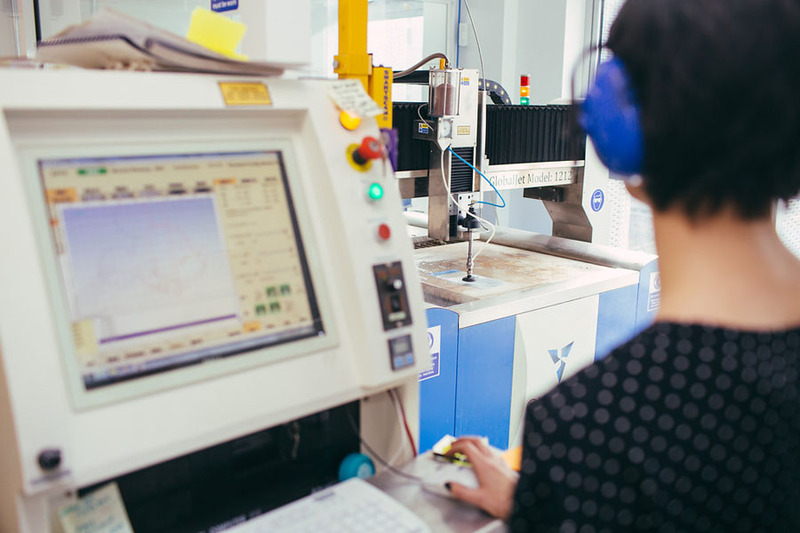 This will enable you to develop and realise designed concepts using digital technologies and to effectively communicate design intentions within the context of manufacturing and industry. The purpose of this module is to enable you to develop professional attributes and subject skills through experience in the work place or a live case study, and to critically reflect upon your learning and future options in that context. You will normally be expected to arrange your own placement, with support from academic staff and BCU Careers. Typically, the placement duration is 1 or 2 weeks. This should be achieved in one block where possible. It is also possible to fulfil this module through a case study, via physical interview of a current practise if placement becomes unattainable. In order to complete this course you must successfully complete all the following CORE modules (totalling 120 credits). Showcase your work to industry leaders looking for new talent, such as Free Range London, presenting yourself as a design aware industry ready interior designer. The combination of applied contextual research & preparatory analysis is at the forefront of the developmental procedures of design. Often the in-depth investigation and critical analysis of contextual factors not only outlines opportunities for the advancement of design practice, but further defines the constraints of any practical applications in design methods & techniques. In all senses the planning and preparation of relevant materials to support the design process is essential, along with the ability to self-manage individual activities. 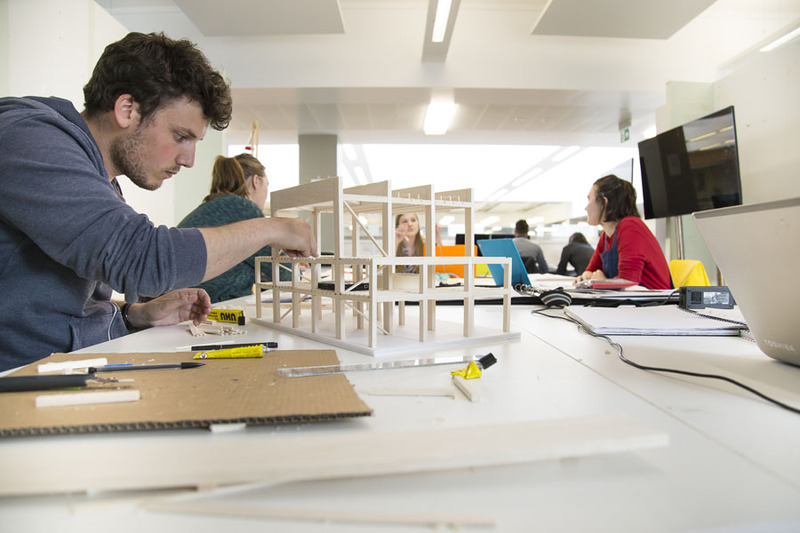 This module will enable you to discover the challenges of exploring design feasibility related to multiple projects within the discipline of Interior Architecture and Design from a professional perspective. Taking 2-3 project titles as potential outline briefs, alongside specific existing sites, objectively interrogate them by exploring the potential of design, technology, structure and professional practice. With objectivity you will synthesise each outcome, leading to an emergence of one stronger feasible project. 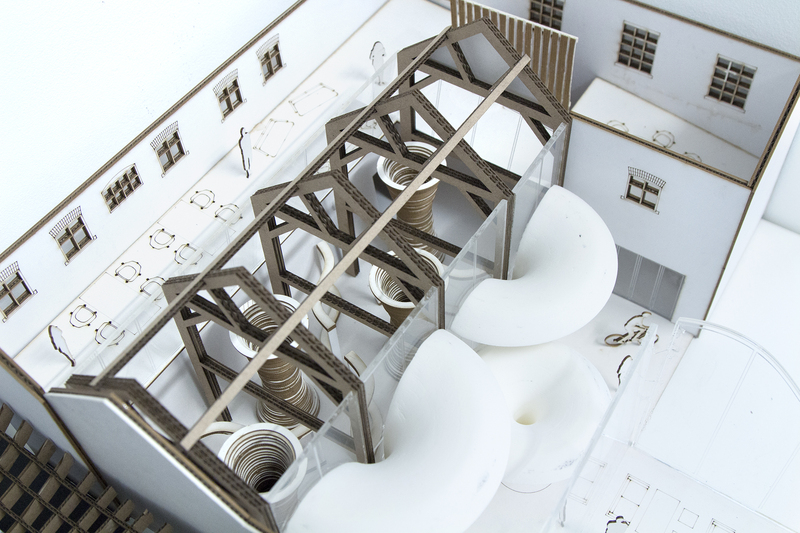 In the first year, you will gain invaluable skills in drawing, model-making and concept modelling in our industry-standard studios and workshops. 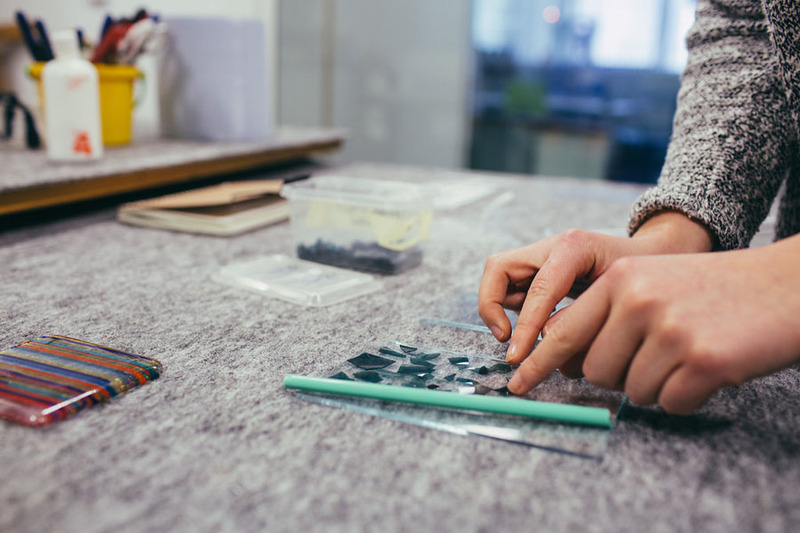 Taught by experienced practising designers, our interior design course mixes practice with theory, so you can create links between concepts and materials while strengthening your design skills across key industry sectors. Computer simulation and design is covered by using software such as the Adobe Design Suite, VectorWorks and other 3D rendering tools. 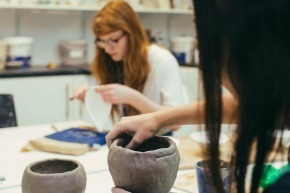 The flavour of your second year is all about creativity and employability. You’ll have the opportunity of internships and live project work, giving you excellent industry connections and experience. 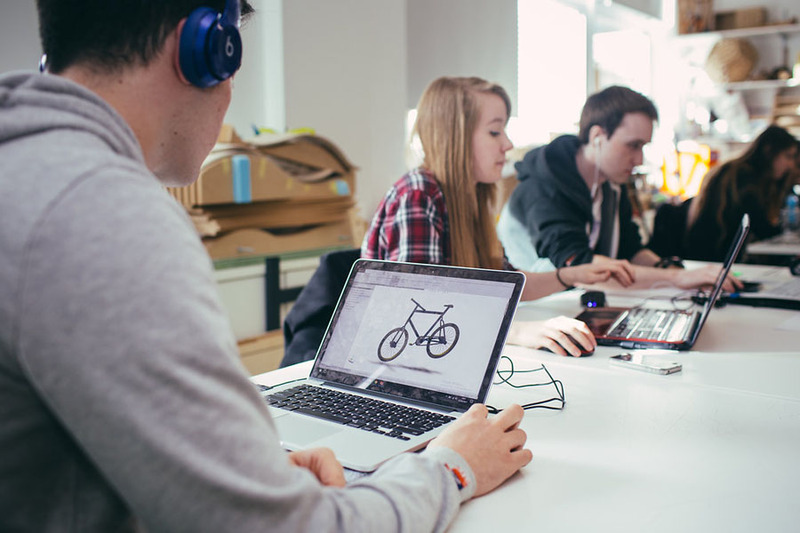 You’ll learn about design and its application while enjoying study trips, the chance of overseas study, international design competitions, and working with clients on real world industry projects. In your third year you’ll have the opportunity to showcase the skills you have obtained throughout this degree course by embarking on an in-depth design project in an area of personal interest to you, combined with an opportunity to exhibit at our graduate show. 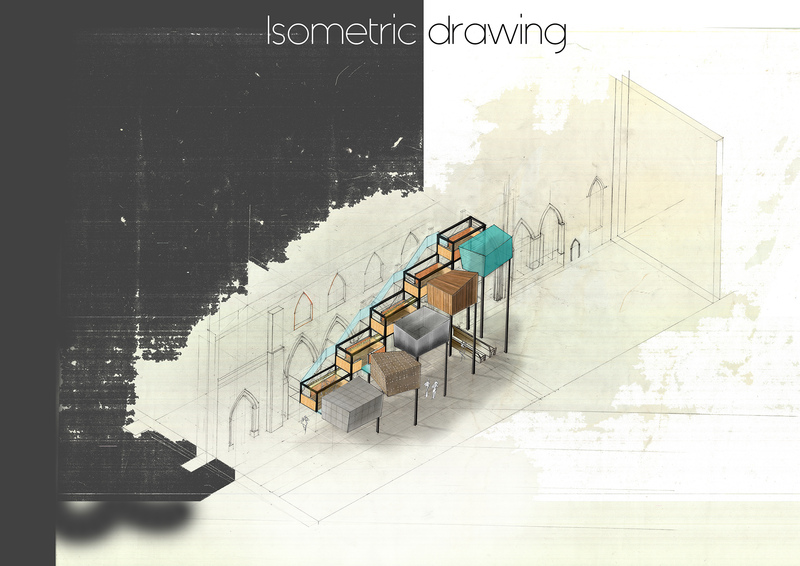 Emerging as a design aware and employable graduate. Tutored Studio is a studio day with practicing interior designers. Here you learn to evaluate design, the design industry and your potential within this. Interdisciplinary Workshops – such as Fashion collaboration: building inhabitable expanded costumes. Film-making; learn how to design and edit video as a method of communication. Landscape & Interiors: designing the inside outside. Real-life projects, with real local sites to transform and manipulate within the perimeters of your project briefs. Opportunities to work with other students of different disciplines to enhance your understanding of design as a team and accommodate different approaches. This degree course is a member of interior educators. Interior Educators (IE) is an organisation established by academics representing well-established Interior design courses from across the UK. It is a unique group in that it provides a forum for debate and the exchange of ideas and practice effecting the education of designers of interior space. IE has created Interior Educators Student (IES), represents students on a national level, to graduation and employment. 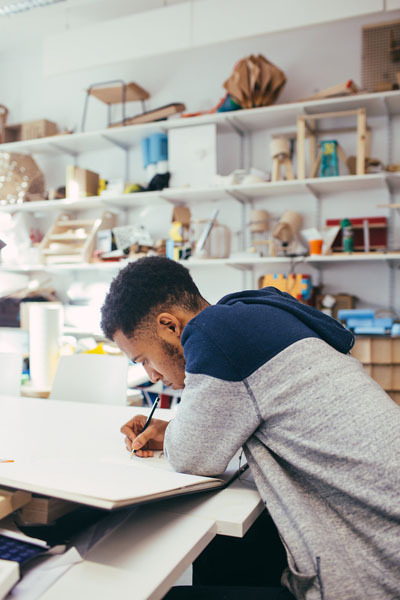 Through IES students can build their own online portfolios, view Interiors specific jobs as well as receiving advice from leading practitioners. 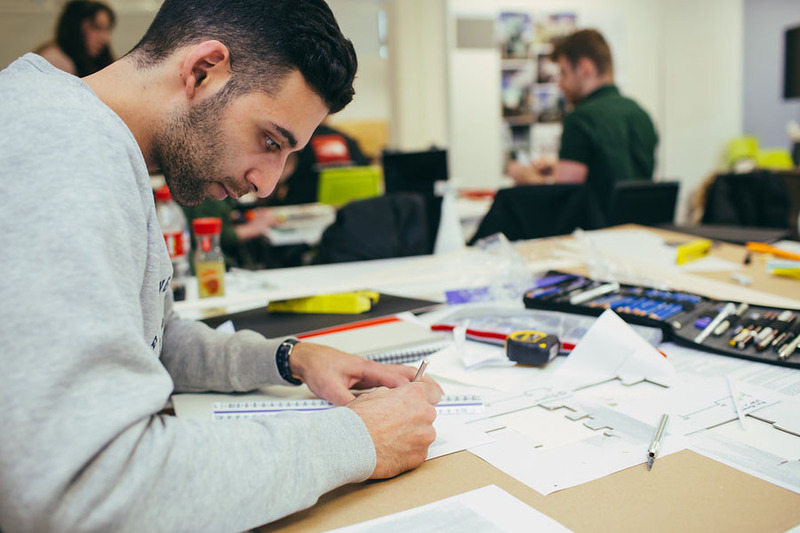 You can choose to continue your study in higher education by enrolling on one of our postgraduate courses in Design Management, Interior Architecture and Design, or Design and Visualisation. You will get the chance to participate in field trips organised by the school. For first year students, you’ll get the experience to visit somewhere within the UK and the trip is organised by the staff and the students. Our expert staff will help you stand out from the crowd by developing your competitive and transferable interior design skills. Through our work in live project collaborations, networking and competition success, we have developed strong links with organisations including: RBS Ltd, Tektura, Hartman, Petainer, Hi Macs, Yorkshire Water and the Environment Agency, Orangebox, KI, & Herman Miller to name a few. 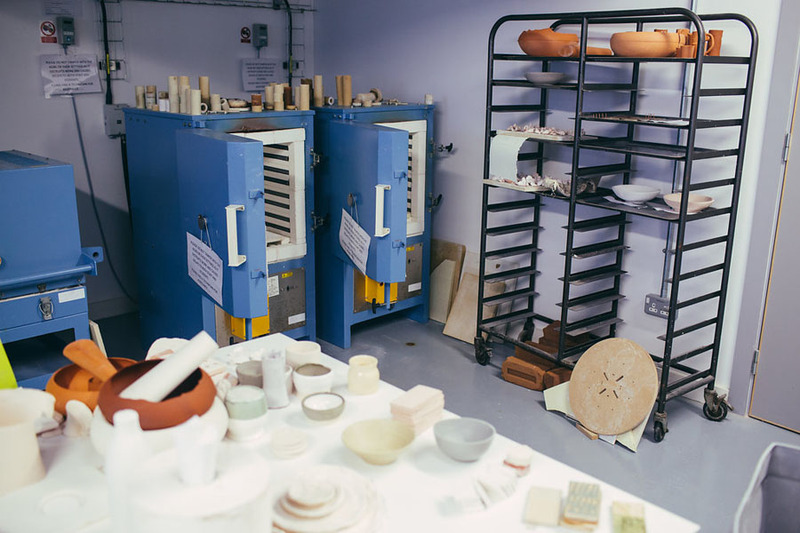 Our graduates also have the chance to take part in training programmes as a Designer in Residence, or enjoy an international exchange opportunities. You will learn how to confidently present your skills to employers as a designer in interior or architectural practices, and illustrate your strengths working in exhibitions, events design, or as a set designer for theatre or film. 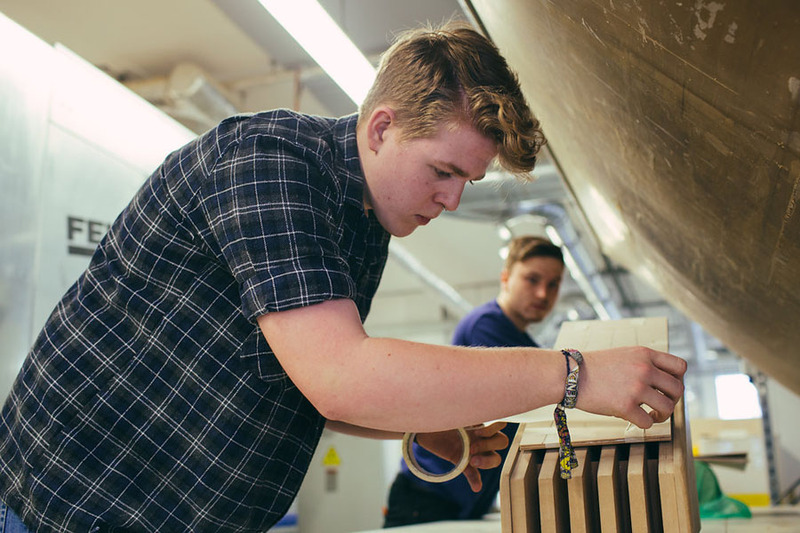 Two of our recent graduates have had their design selected by outdoor furniture manufacturers, Hartman. Amit Fox and Justine Woolley now have their designs on sale on the Hartman website. Other graduates are working at global names such as FITCH, and Gensler. During your second year there is a work placement opportunity, which is designed to enable you to develop professional attributes and subject skills through experience in the work place or a live case study, and to critically reflect upon your learning and future options in that context. When I was looking for a university I was already 23, so I didn’t want to waste my time with bad choices. 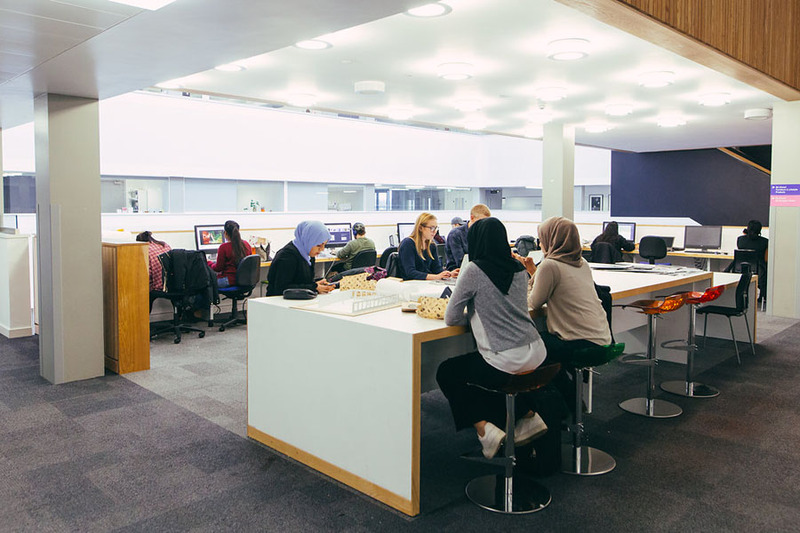 I did precise research about universities I could apply to, and chose Birmingham City University because it had a good reputation and I had read a lot of positive opinions from students. 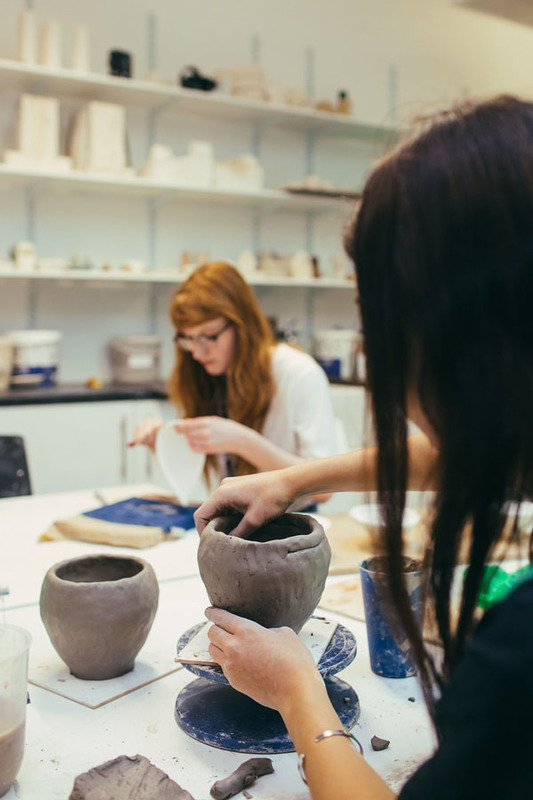 I enjoy everything about the course – I have a passion for design and creating new spaces, I like to explore things, and I love to work with people with similar attitude.The tutors are really helpful and every time I need advice or help I receive it. English is my second language but I never felt any different – any doubts, questions or problems, the staff were there to help. I hope to gain a placement related to my course in the future, to better prepare me to represent the University well in my future work. In the meantime I have designed a price list, leaflets and coupon cards for a recently-opened hair and beauty salon in Redditch. Also, I am a painter, and I am preparing my exhibition planed this summer. Due to our overseas interest our graduates, progression is on an international scale, providing graduates with the opportunity to work all over the world including countries such as Norway, Russia, Cyprus, Hong Kong, Malaysia, Turkey, Japan, Sri Lanka, Uganda, UK and China. 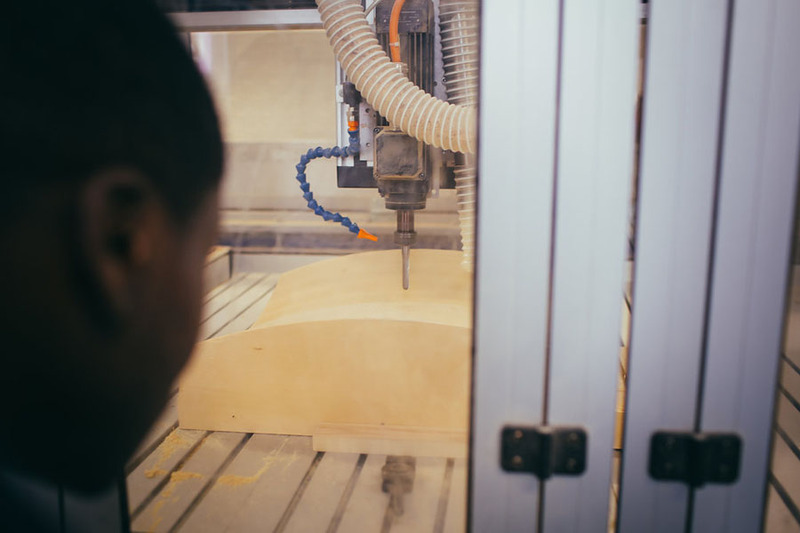 Two of our recent graduates have created designs commissioned by outdoor furniture manufacturers, Hartman. Amit Fox and Justine Woolley now have their designs for sale on the Hartman website. 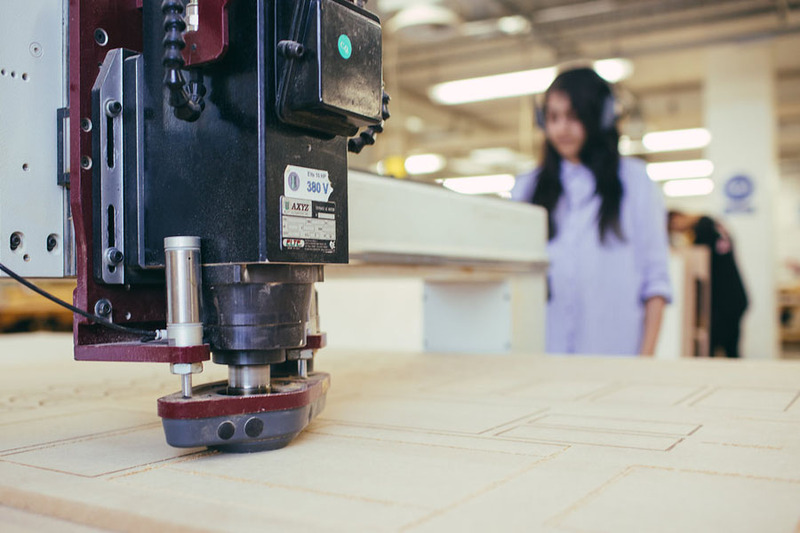 Birmingham School of Architecture & Design are proud to be a part of the local design community, and have strong links to many companies across the UK. As an multi-disciplinary school we promote that ethos in everything we do, and work strongly with Professional Companies to ensure we are up to date with industry practise and standards. 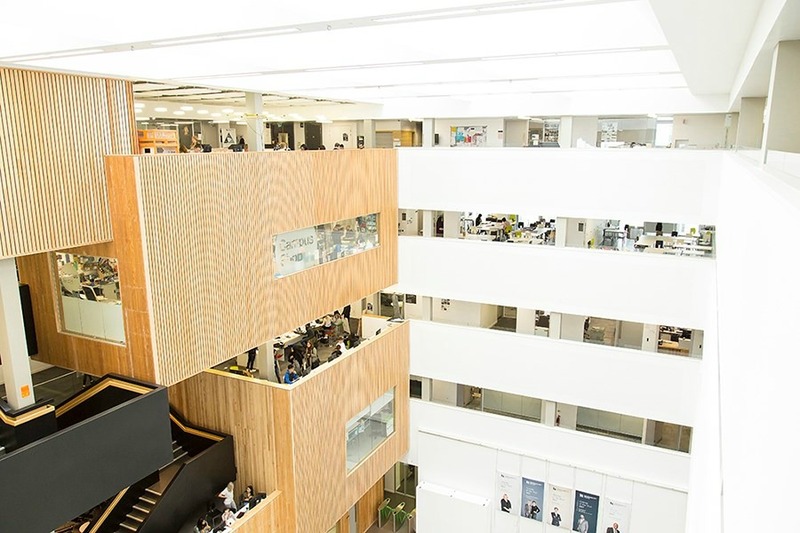 You’ll be based in the multi-million pound Parkside building – part of our City Centre Campus – with technology and facilities that reflect advanced professional practice. We offer facilities which will accurately reflect the work environment you will enter after graduating. 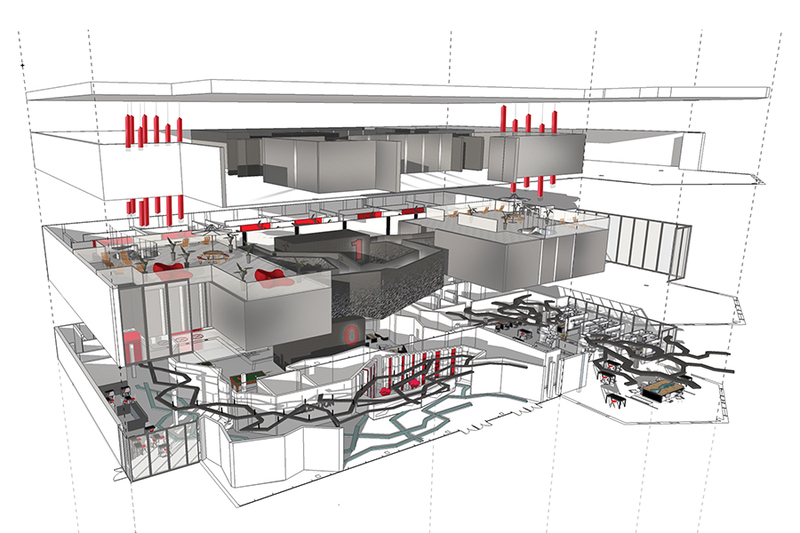 These include Computer-Assisted Design (CAD) and a computer-generated Virtual Building Site, creating real life scenarios for you to work on. 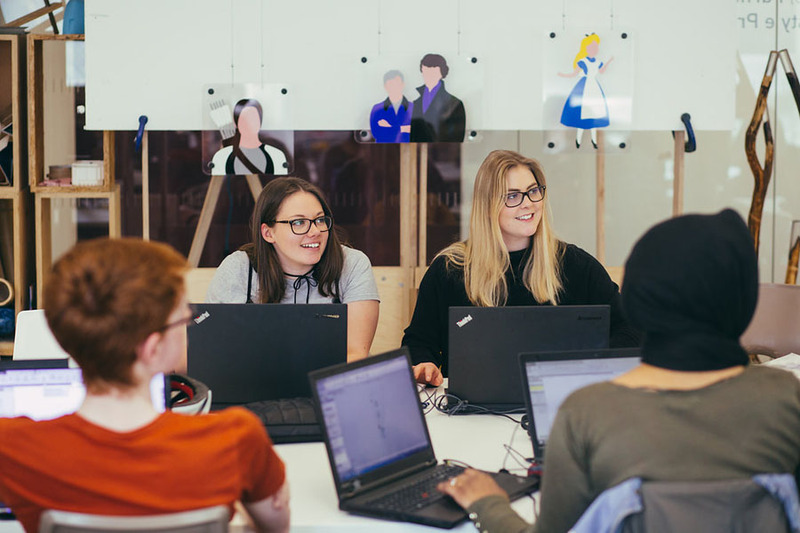 While based in The Parkside Building, you will get sharpen your CAD and digital visual communication skills, prototyping and digital production, while also having access to a range of specialist software, workshops, computer and project learning laboratories, and a social learning space. 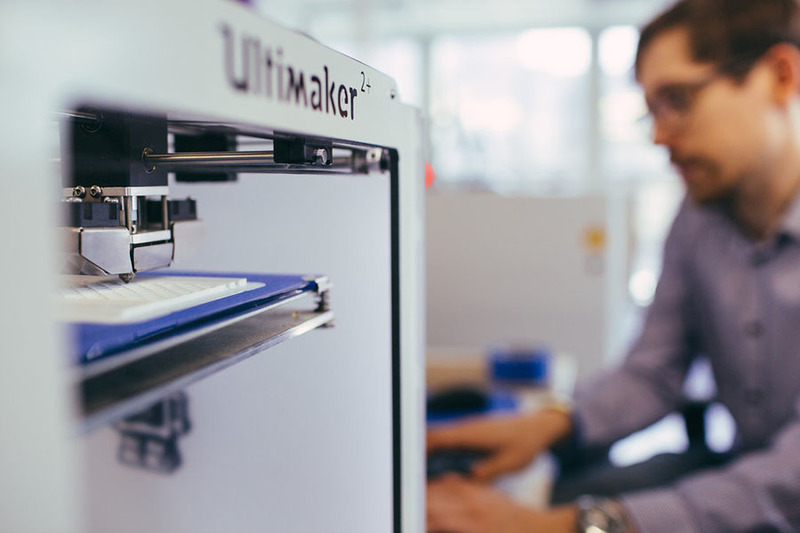 From industry-standard software, to our workshops and studio spaces, everything you need will be at your fingertips from day one. 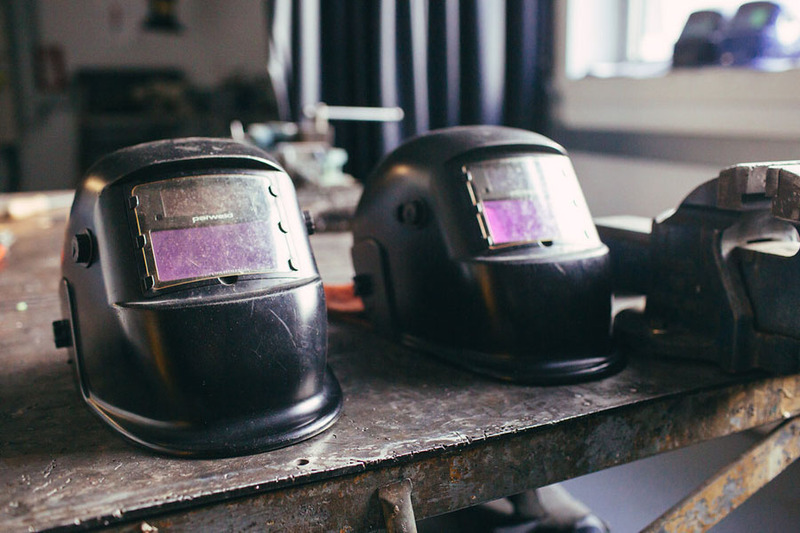 Working with our expert technicians, you'll be supported from concept through to completion. All of our staff come from an industry background and bring a wealth of skills, knowledge and experience. All of this gives you access to the latest thinking, creativity and professional networks. 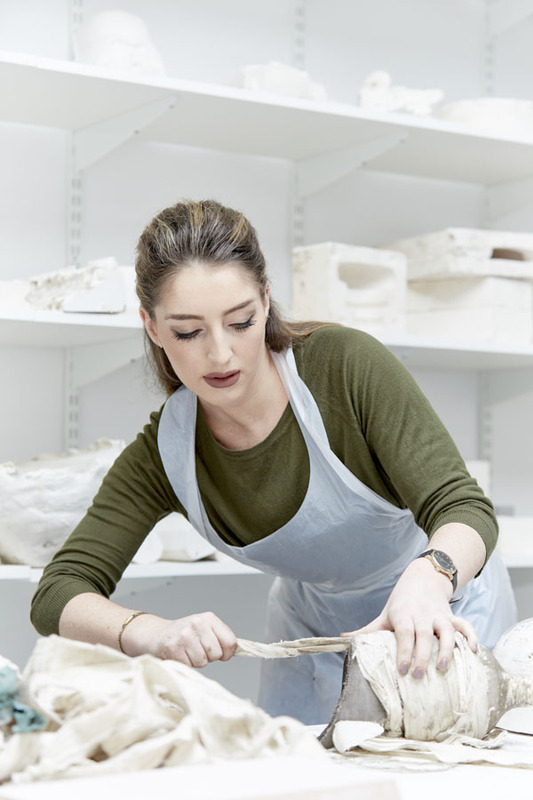 On the Interior Design course you will be taught by experts who specialise in: Design Communication, Creative Processes, Sustainability, Brand Development, Hospitality and Strategic Design Management. A top quality student experience, employability and enterprise are central to Glenda’s approach. High quality student endeavour requires a delicate balance between creative and technical ability. Glenda is interested in how practitioners work ideas through their projects to solve problems and to redefine design. 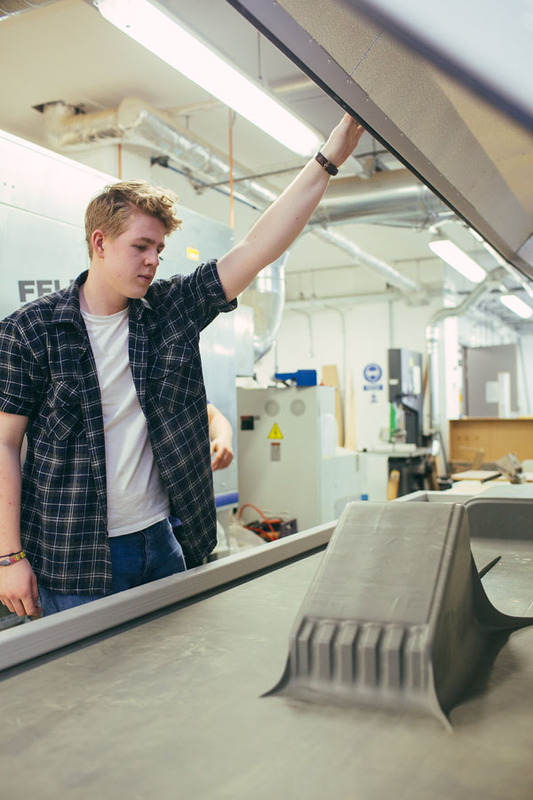 Jo’s background is within the workplace sector of the industry, and brings an industry focus to the course, leading CAD skills and vital industry links, while embracing student experience and a focus on realising your potential. Maria Jose Martinez holds a PhD in Architecture (Escuela Tecnica Superior de Arquitectura de Madrid). Her PhD thesis entitled Dynamic Cartographies: Body and movement in the architectural space is an investigation into how architectural and urban space influence the way we relate to space. Her MA in Advanced Theatre Practice at Royal Central School of Speech and Drama enabled her to specialize in space design within devising theatre processes. In 2012 she was awarded the INJUVE prize for young creators in performance for the piece entitled VACIO which was presented at the Museum of Contemporary Art Reina Sofia (Madrid). She has facilitated several workshops focused on space and body movement at the School of Architecture of Madrid (Spain), Universidade de Fortaleza (Brazil) and the University of Winchester (UK). 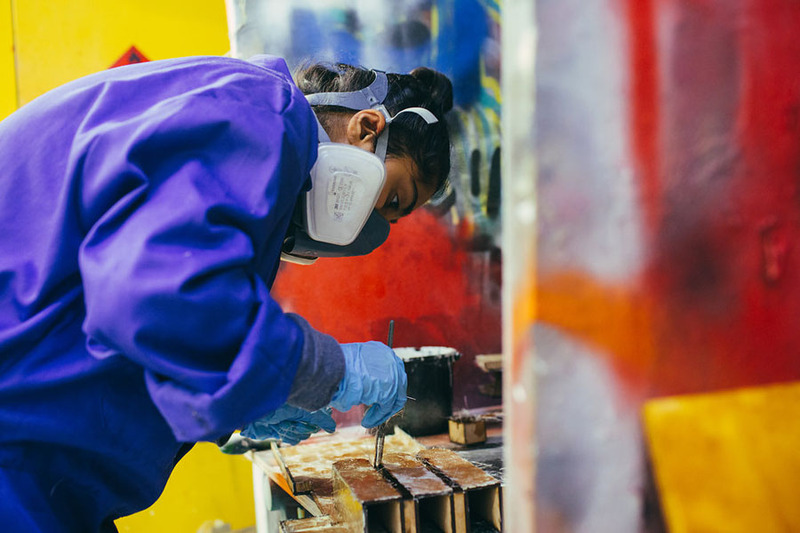 She has been developing her professional career as a scenographer in London and Madrid where she has worked as a designer for several companies and festivals. She has also worked as an exhibition designer. She has presented her work at the Quadrennial of Scenography in Prague (2015) and the Biennal of Dance in Venice.